[GB] RovyVon A6 with NICHIA! Group buy! This one has a 4500K tint and CRI of at least 90 thanks to the Nichia 219C R9050 LED. Hey everyone! I’m running a group buy over on reddit, for the Nichia version of the RovyVon Aurora A6. They already have it listed on their site, but the group buy will get 20% off! Head over to reddit to join! After my RovyVon Aurora A5 review there was some discussion about how awesome a Nichia version would be. Then I went and reviewed the RovyVon A2 and A3, and pushed even harder for a Nichia version. RovyVon is a responsive company. Ken, my main contact, was interested in making what we like. 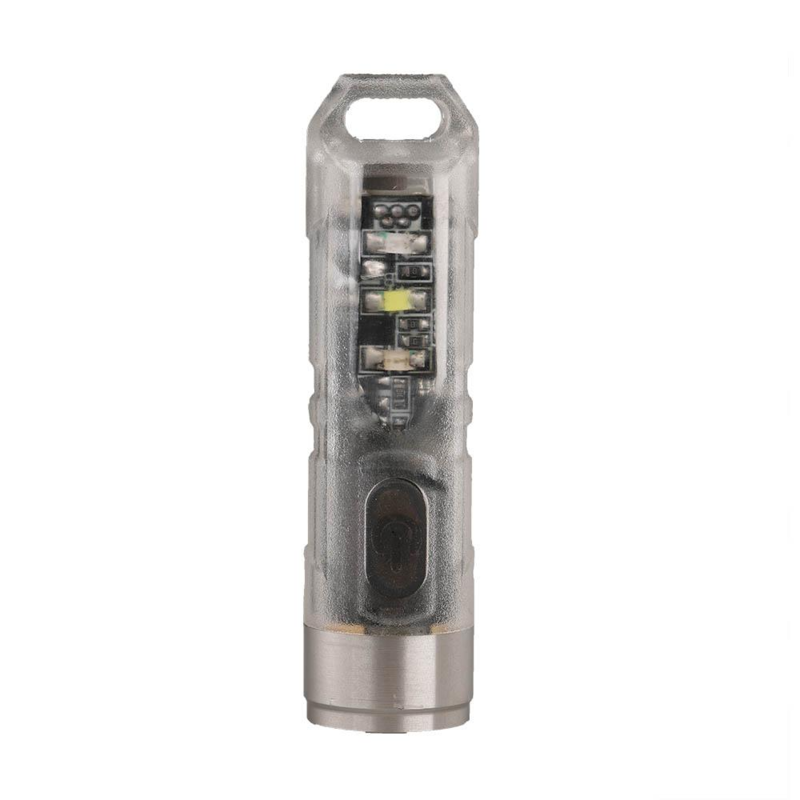 In fact, their newest light, the E300S (which I also reviewed) already has a Nichia version upcoming. But Ken put in motion the Nichia Aurora lights. It’s been available for a week or so, but Ken agreed to run a “Group Buy” price. This will be ~20% off the listed price. The listed price is $44.95 at rovyvon.com. So the group buy price should be in the $36 range, and should include shipping, and will ship to anywhere in the world. Even Canada. Here’s the light – it’s a clear poly body, but not GITD [womp womp]. Still it’s a great little light! It will have the same UI as the Aurora lights I reviewed. In order to get the GB price, Ken wants 50 participants. The GB possibility will run from now til this time next Tuesday. Tell your friends! Just reply on reddit with an “In!” (if you don’t have a reddit account, well, get one, they’re free! but you may also reply here on BLF). We’ll see where we are next Tuesday. This post is subject to being edited. If there is an update to anything major, like price, I’ll update right at the very top. Thanks! Any questions, please ask! Oh man, I’ve just posted my review of the A2 an A5R and said “I guess I’ll have to get the A6 as well!” and now you come with this? You wanna leave me bankrupt ? But…if I decide to get the A6, as I am not a reddit user, can we talk about that or it is imperious that I join the group? if I decide to get the A6, as I am not a reddit user, can we talk about that or it is imperious that I join the group? No need to join reddit. I’ll tally the “In’s” from BLF as well. Just comment here and say “In.” That’ll be good enough. But I’m not on reddit nor do I intend to be. In the original post I said that you don’t need to join reddit. You may post “In” here too. I also edited the OP to indicate that more clearly, too. Thanks. Well, I can’t say ‘I’m In’, yet, I’ll have to look to my finances! I will post again before Tuesday so that you have the final list! Damn…I don’t need…but I waaaaant… But I wanna buy stuff to mod other lights…. the zeroair review site is one of my favorites! Hey, thank you! I appreciate that!! Looks like a great light! But I have no budget for it. Update to this group buy. It’s a go! Time to buy the Nichia RovyVon Aurora A6!!! Head over to RovyVon and add the item to your cart. Click “Checkout.” On the right side of that page there’s a place to put the “Discount Code” – enter “REDDITGB” . Alternatively, click Paypal and you’ll be prompted to log in, and then you’ll enter the discount code. Nop, but there is no need It has a “long” press to turn it ON, so an accidental activation is not a thing that happens easily ! I’m bummed that I learned about the Aurora A6 too late… missed the group-buy. How is everyone enjoying their A6? Is this hard clear polymer shell pretty resistant to scratches from rubbing up against keys? How good does the Nichia tint look? The original A5 is still offered on BG for $36 and then if you search for M4DM4X discount, it’s 20% off that. But I’d gladly pay $36 for the Nichia version. I had a Nitecore TIP CRI that I really liked, but it failed miserably on me. First was DOA, and replacement ended up dying after just 3 weeks. The Aurora A6 looks like a really interesting alternative. I’d suggest to take a look at the A8! In my opinion it is better than the A6 at the UI level ( no strobes and has Moonlight)!! FYI rovyvon.com currently has a sale that gives you 20% off the Auroras. Free shipping and it looks like they’re fulfilling from their US allocation. I’d recommend going with the A8 as well for the moonlight mode and no inline strobe. Thanks — I didn’t see any 20% off shown…. does that get applied when you check out? If you click the orange banner at the top of their home page, it’ll show you the details . Discount code is entered at checkout. Agg… I waited too long. It’s gone. Anyway, in a way that’s good because I’m intrigued by the A8 you mentioned and I’m thinking that would be a better light to go with, for just a little more money. It’s really great to see a brand nicely responsive to the flashlight community. I was actually able to communicate with Ken over on Reddit. Nice guy.